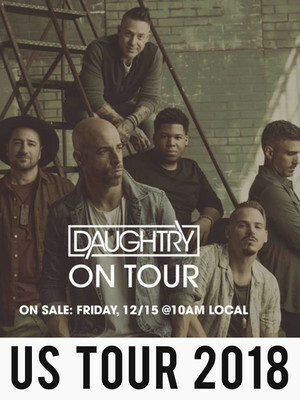 Daughtry Event homeCustomer reviews Willie NelsonSammy HagarOld DominionApocalypticaThe Rat Pack Is BackJojo SiwaGary Clark Jr.
Daughtry are back on the road for 2019! Daughtry are back for 2019! Alternative rock band Daughtry formed in 2008 after vocalist Chris Daughtry made it to the finals in the fifth season of American Idol. The show proved to be the perfect platform for the North Carolina native, five studio albums under his belt he's showing no signs of slowing down! 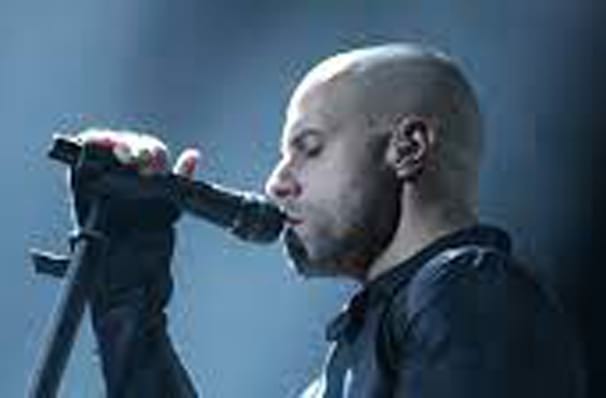 Though he didn't win the televised competition, Daughtry's impressive vocal range still earned him a record deal with RCA Records and the band's self-titled debut album sold more than a million copies after just five weeks of release, becoming the fastest selling debut rock album in history. The singles "It's Not Over", "Home" and "Over You" each earned the band a top-five spot in the US Pop 100 charts. Since the release of their fifth studio album 'Cage To Rattle' in 2018, the hard working rockers are back on the road with a vengeance for the foreseeable future. Sound good to you? Share this page on social media and let your friends know about Daughtry at Silver Legacy Casino. Please note: The term Silver Legacy Casino and/or Daughtry as well as all associated graphics, logos, and/or other trademarks, tradenames or copyrights are the property of the Silver Legacy Casino and/or Daughtry and are used herein for factual descriptive purposes only. We are in no way associated with or authorized by the Silver Legacy Casino and/or Daughtry and neither that entity nor any of its affiliates have licensed or endorsed us to sell tickets, goods and or services in conjunction with their events.